Equatorial Guinea is a speck of a country located in the middle part of Africa. One of the cool things I like about Equatorial Guinea is that their official language is Spanish. Also, the capital of Equatorial Guinea, Malabo, is not actually located on mainland Africa, but on an island just off the coast known as Bioko Island. If your wish is to work in Equatorial Guinea, good luck because job opportunities will be VERY HARD to come by. Most opportunities available for expats will involve something dealing with oil. If you are not interested in oil, I suggest finding another country in Africa. Without further ado, below is a selection of resources for searching for employment opportunities in Equatorial Guinea as a foreigner. As mentioned, landing an opportunity will be difficult, but you might as well give it a shot if you are hooked on this country (not sure why as there is really not all that much to do there, and there are much better countries in Africa). CareerJet: I’m sure you are probably familiar with CareerJet. They have job opportunities in Equatorial Guinea. Indeed: This big search engine has results that pop up for Equatorial Guinea. Riley Guide: Handpicked sites that enable you to search for employment in specific countries and/or regions around the world. There you have it. 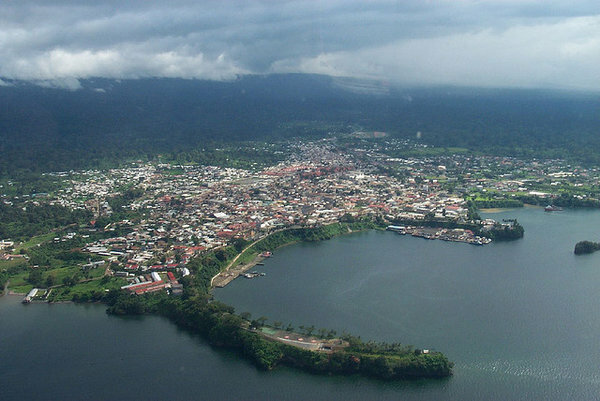 The best places to find jobs in Equatorial Guinea as a foreigner. For information on visas for Equatorial Guinea, be sure to check out my Equatorial Guinea visa page.